Lynnda manages the day to day operations of ICOR’s education program. She also serves as a member of the US delegation to the ISO 223 series of standards on Continuity and Resilience - ISO 22301, 22313, 22316, 22317, 22318, and 22398. 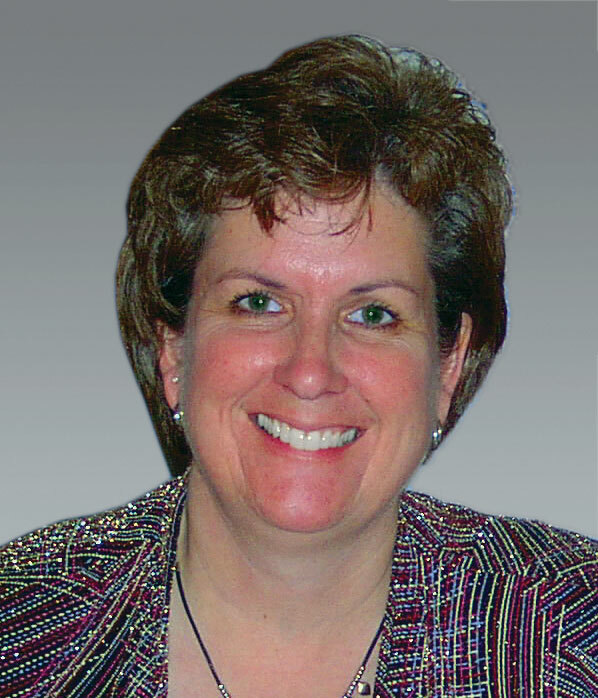 Lynnda also serves as a member of ISO Technical Committee 268 working on indicators for resilient cities, on the UNISDR committee on community resilience, and on the NIST committee working on community resilience. Some organizations are able to survive and thrive through times of uncertainty while others stumble and fail at the first sign of trouble. What differentiates more resilient organizations from those that are not as resilient? Do we need to wait until a crisis strikes to see how resilient an organization is, or can we diagnose resilience in advance? 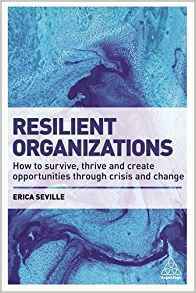 I had the pleasure of interviewing Erica Seville, author of the ground-breaking book, Resilient Organizations -How to survive, thrive, and create opportunities through crisis and change, that draws on primary research to reveal to these questions and provide practical ideas and actions to make your own organization more resilient. Question: The title of your book references that a crisis can have an impact on an organization's resilience. Tell me more about this. Erica: At some time during its life, every organization is likely to face a disruptive crisis. Be it a natural disaster, a reputational crisis, problems within the supply chain, or an issue affecting its people; organizational crises happen more often than we think. If handled poorly, crises can bring an organization to its knees. But change and disruption are not always negative. Crises can also be transformational, and more resilient organizations can turn their crises into opportunities to become better than before. Crises create windows of opportunity for change – but these are often fleeting and you need to be both open and positioned to take advantage of them. Question: What about during "normal' times? How does an organization's resilience impact day-to-day operations? Erica: So often when we think about resilience, we think of the moment of crisis. But resilience comes from deeper within an organization’s DNA. Many of the qualities that support resilience in an organization - good leadership and culture, strong networks, and being change ready, also offer tangible benefits to the way an organization operates in the day to day. If we can make our organizations more resilient they become better employers and they provide better goods and services to their customers. 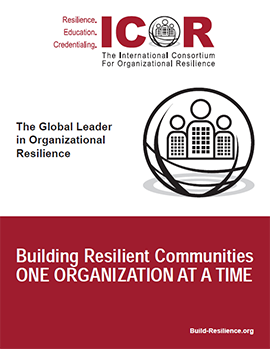 Question: So how does an organization become more resilient? Erica: Resilience is not something that can be purchased off the shelf – it needs to be ‘baked in’ to your organization. Resilience needs to become part of your organization’s ethos, culture and ways of operating. Resilience is much more than being prepared for disasters – it is about ensuring your organization is ready for any future. It also isn't just about getting through crises; a truly resilient organisation has two other important capabilities –the foresight and situation awareness to prevent potential crises emerging; and an ability to turn crises into a source of strategic opportunity. Don’t just hope that your organization is going to be resilient; hope is not a method. You need to be intentional. Our research at has identified 13 indicators that we look for to assess the resilience of an organization. http://www.resorgs.org.nz/what-is-resilience. These indicators are useful as they help an organization to diagnose their resilience strengths and weaknesses – the first step towards improvement is to know where your organization is currently at. Question: In your book you use many different case studies to tell the story of how to build more resilient organizations and you also provide examples of less resilient organizations. If you could summarize your findings, what would you share? Erica: That it is possible to proactively develop resilience within any organization. Our challenge for the 21st century is to create organizations that are future ready, with an inbuilt capacity to, not only weather the storms of change, but to be able to thrive in such environments. We need organizations that proactively identify and manage the risks that can be anticipated, but also invest in capabilities to cope with events that cannot be anticipated. We need organizations that are capable of sensing changes in their operating environment, can quickly grasp the implications of those changes for their organization, and are agile and strategic in their response. These will be the organizations that thrive in the rapidly changing environments of the future. Increasing the resilience of an organization needs to be both top down and bottom up. It needs to be an intentional effort that is core to the overall strategy of the organization. Question: We know that New Zealand has been severely impacted by earthquakes over the past few years and there is no guarantee that there won't be more. What have you seen locally in New Zealand over the past 5 years regarding why some organizations have survived and even thrived and others have not? Erica: We have seen that an organization’s resilience is drawn from both its planned and adaptive capabilities. Organizations that invest in their planned resilience capabilities are able to sense change as it emerges over the horizon, and take action to both minimize the downside risk and to extract maximum upside. They are able to prevent many crises from ever occurring, and when crises do occur, are able to manage them responsively and effectively. But planned resilience capabilities will only get an organization so far. No crisis ever fits the plan, and organizations inevitably need to find ways to adapt and evolve. Being both planned and adaptive – this is the key to resilience. Our longitudinal research has also revealed some interesting dynamics on what drives longer term recovery for businesses. Surprisingly, we found that the overall level of damage and disruption experienced by a business was not a strong predictor of how a business would be doing 5 years after the earthquakes. Businesses could overcome earthquake damage and disruption, provided people still wanted or needed their products and services. Businesses that suffered reduced customer demand however, were far more likely to still be suffering years after the earthquakes. This suggests we need to focus much more attention on helping businesses to sustain or develop new customer markets following disasters. Question: Our discussion so far has been focused on the individual organization. But what about an organization's relationship with others? Erica: While our research focuses on the resilience of organisations (businesses, government agencies, institutions etc), an organisation sits within an ecological like system and resilience is required at all levels of this system. The resilience of an organisation is directly related to the resilience of the other organisations on which it depends (customers, suppliers, regulators, and even competitors). An organisation is also dependent on and also contributes to the individual resilience of its staff and the resilience of the communities that they live in. Similarly, an organisation's resilience is directly related to the resilience of its sector, and the sector's resilience is intertwined with the resilience of the nation. Communities are comprised of different types of organizations. They provide stability for the communities themselves during turbulent times. Creating more resilient organizations is an important step towards creating more resilient communities. Question: What are you looking at next? In what direction do you see your research going? Erica: One of the challenges we've faced and that we believe many practitioners face, is how to speak the language of the Board. An organization's resilience strategy must be led by the top. it cannot only be a bottom up initiative. We are exploring frameworks that encourage top management to be forward thinking by considering what futures they might face and how to develop strategies that enable an organization to be more agile, adaptive, innovative, and responsive. Learn more about ResOrgs - http://www.resorgs.org.nz/ by visiting their website. Get your copy of Resilient Organizations - How to survive, thrive, and create opportunities through crisis and change. Dr Erica Seville is Co-Leader of the Resilient Organisations community and Director of ResOrgs Ltd.
Resilient Organisations has been researching what makes organisations resilient in the face of major crises, since 2004. Erica has authored over 100 research articles and is regularly invited to speak on the topic of resilience. She is the only non-Australian member to sit on the Resilience Expert Advisory Group, providing advice and support to the Critical Infrastructure Advisory Committee of the Australian Federal Government. Erica has a Bachelor of Civil Engineering Honours degree and a Ph.D. in risk assessment. 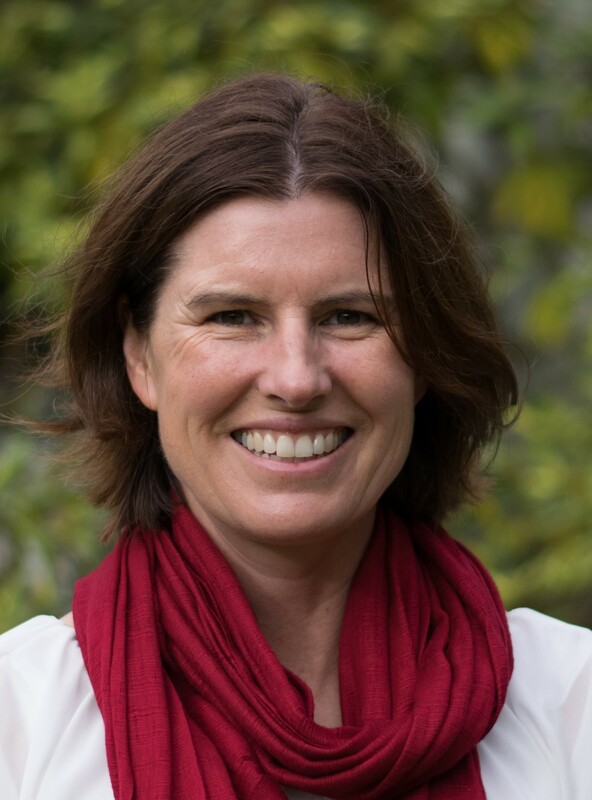 Erica is an Adjunct Senior Fellow with the Department of Civil and Natural Resources Engineering at the University of Canterbury, and also director of Risk Strategies Research and Consulting.